Experience life application as we study the Bible together, verse by verse. The current session of Growth Groups launched the week of January 20, 2019. 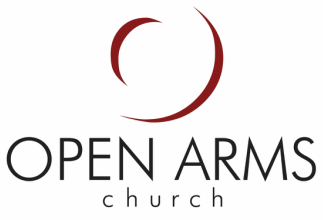 What are Growth Groups at Open Arms? Small groups of people (< 12) who meet regularly to connect with one another, encourage one another, study the Bible through interactive discussion, and pray for one another. Most groups meet in a host home for 90 minutes on a weekly basis, and all are welcome. Growth Groups begin anew every January, and meet until June. The four key values of our Growth Groups are the four key values of Open Arms ... Growth Groups are one way to carry out the many "one anothers" of Scripture. We love God through our growth groups by making Him a priority in our lives and by seeking Him together. We seek to discover the truths of the Bible in an interactive way while moving toward life application. The format we use is designed to encourage group interaction and sharing. The Growth Group leader does not need to be a teacher, but rather functions as a facilitator who draws out interactive dialogue. As described in the New Testament, the early church was a close community who willingly shared their lives with each other. Our Growth Groups create a place where people are welcomed and genuinely cared for, where we can be mutually encouraged by each other’s faith, where it’s safe to share struggles, and where Christ-centered relationships can be built as we pursue Jesus together. Humbly viewing others as more significant than ourselves, we serve one another by interceding in prayer, by being available for practical needs, and by selflessly investing in others' long-term spiritual growth.